Jesus did not descend from the cross but remained on it until He died. And when taken down from it, He in death as in life, rested on the bosom of His divine Mother. Persevere in your resolutions of reform and do not part from the cross; he who persevereth to the end shall be saved. Consider, moreover, how pure the heart should be that receives the body and blood of Christ in the Adorable Sacrament of the Altar. 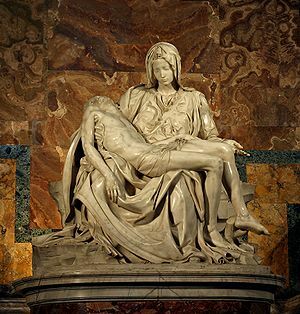 O Lord Jesus, Thy lifeless body, mangled and lacerated, found a worthy resting-place on the bosom of Thy virgin Mother. Have I not often compelled Thee to dwell in my heart, full of sin and impurity as it was? 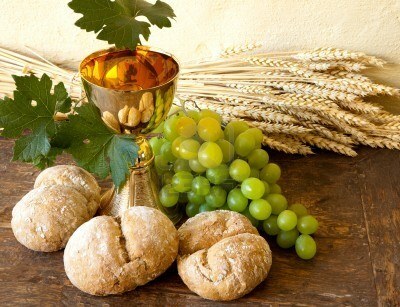 Create in me a new heart, that I may worthily receive Thy most sacred body in Holy Communion, and that Thou mayest remain in me and I in Thee for all eternity. When I reflect on how pure and humble Mary the Mother of God is, I do not feel at all worthy to receive our lord. When I go to receive the Eucharist I am filled with such gratitude that he would allow me to hold his body, when I am no where’s near the level of holiness that Mary is.